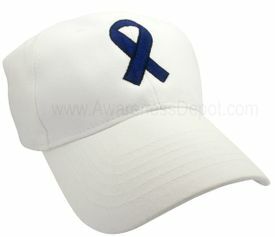 This Child Abuse Awareness Baseball Cap offers a symbol of hope with its beautifully embroidered blue ribbon to represent Child Abuse Awareness. All cotton, soft, flexible white cap with adjustable strap. Wear it Proudly! !